Carmel-by-the-Sea, California, December 24, 2010, Ralph Senensky, Retired Director for the Directors Guild of America, has been recognized by Elite American Artists for dedication, achievements, and leadership in film and theater direction. “Watching an actor respond in a scene is magical,” Mr. Senensky said of the most rewarding aspect of his career. The now retired director spent 47 years directing films, theater productions, and television series to vast audiences across the country. With a Bachelor of Science in theater arts from the Pasadena Playhouse, Mr. Senensky built his career by emphasizing the necessity of reaching people emotionally. Through his tenacity, he influenced his actors to express themselves authentically in order to yield a positive response from the audience. To his credit, Mr. Senensky directed episodes of Star Trek, The Bill Cosby Show, The Partridge Family, Dynasty, Casablanca, The Paper Chase, Mission Impossible, Naked City, Route 66, The Fugitive, and The Waltons. He was prompted to become involved in the industry through his interest in theater throughout high school. After directing numerous community theater productions, he moved to Los Angeles, California to pursue his career. Starting with directing off-Vine Street productions, he built his repertoire of skills and took a job with CBS where he became a member of the production staff for Playhouse 90. While directing the television series, The Waltons, Mr. Senensky notes an episode in the series’ sixth season, entitled “Grandma Comes Home,” to have had a profound impact on his career. The episode was centric around the character Grandma Walton, played by Ellen Corby. In real life, Ms. Corby had suffered a stroke which deprived her of her ability to use one side of her body and almost all of her speech; it also left her unable to act on the show for 31 episodes. Her return to the show was a surmounting triumph, thus every scene manifested raw emotion for each actor. Mr. Senensky describes the day as “chilling” and “wonderful.” The experience was a payoff for all of the hard work he had invested into his career. Highlights of Mr. Senensky’s career were directing theater productions of “Death of a Salesman” in the 1950s, and “Watch on the Rhine” in the 1980s. Sitting in the audience, he could hear people sobbing out loud, which gave him the humbling gratification that characterizes a successful director. Mr. Senensky’s reputation as an “actor’s director” set him apart from others in his field and showcased his drive to create meaningful entertainment. 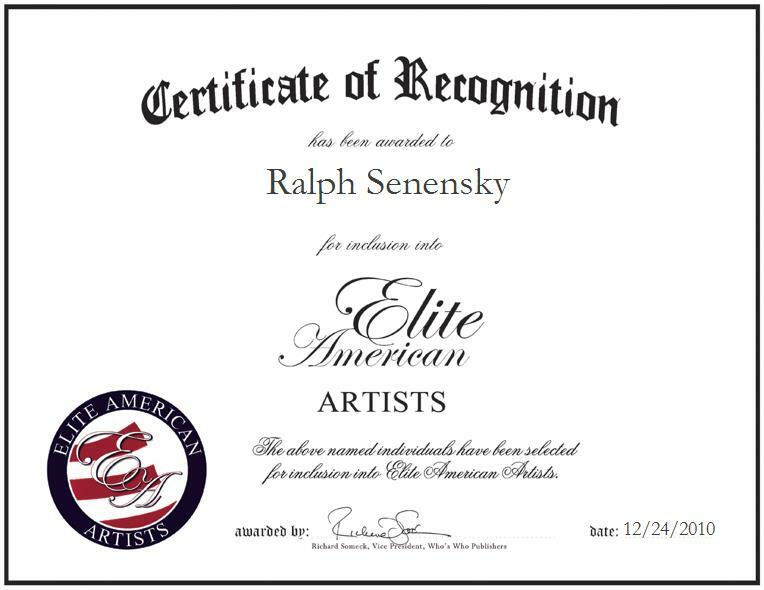 Though he is retired, Mr. Senensky recounts his professional journey in the entertainment industry in a blog, Ralph’s Trek. He also spends his leisure collecting memorabilia, watching old and new movies, and spending time at the beach.